You may be thinking, or have already decided, to take the management track. But how do you get there and what kinds of skills do you need to succeed? As more young civil engineers enter the workforce, the demand for versatile managers increases as well. Soft skills are as important as technical skills when navigating management duties within your company. According to Wonderlic, 93 percent of employers said that soft skills are an “essential” factor when making hiring decisions. 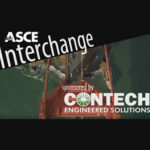 In this episode of the ASCE Interchange, Anthony Fasano, P.E., M.ASCE, founder of the Engineering Management Institute, host of The Civil Engineering Podcast, and author of Engineer Your Own Success, discusses how to go from civil engineer to manager. 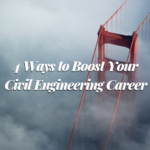 “If you want to become a strong civil engineering manager, make sure you’re letting your team know that you’re open and available to them,” said Fasano. He believes that managers who listen to their teams gain more respect as leaders. 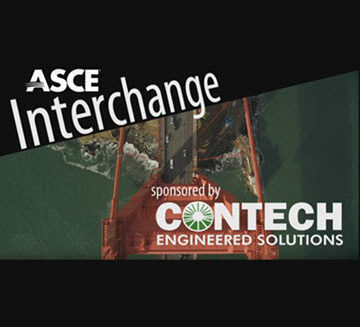 ASCE Interchange is brought to you by Contech Engineered Solutions, a leading provider of site solutions for the civil engineering industry. Contech’s portfolio includes bridges, drainage, erosion control, retaining wall, sanitary, stormwater, and wastewater treatment products. For more info, visit www.ContechES.com or call 800-338-1122.